After taking a look through all the wedding magazines for inspiration for a little collaboration with a bridal store we realised the ‘vintage’ and ‘retro’ look was not getting as much column inches as we thought it deserved. 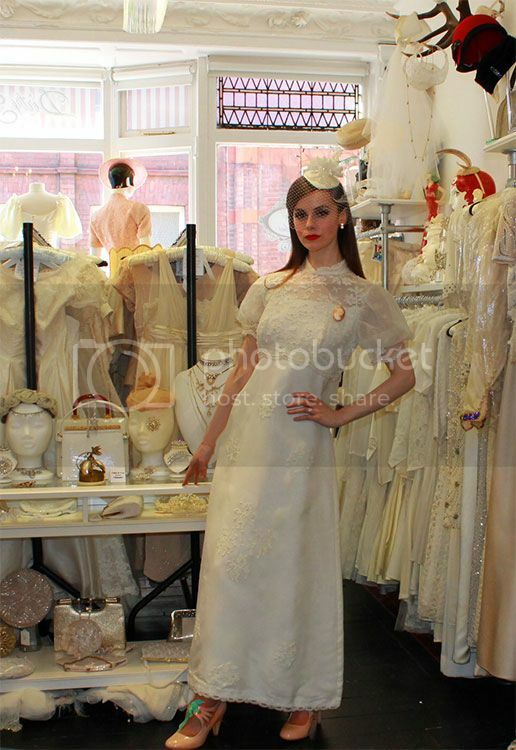 Over the next few weeks we will be showcasing the best of vintage from the amazing Dirty Fabulous store in Dublin. Together with our jewellery we created some really special looks for you all. Get some inspiration or copy the look entirely, best of all these looks do not cost the earth. We have chosen some select pieces to get you through your retro wedding and make a statement along the way. 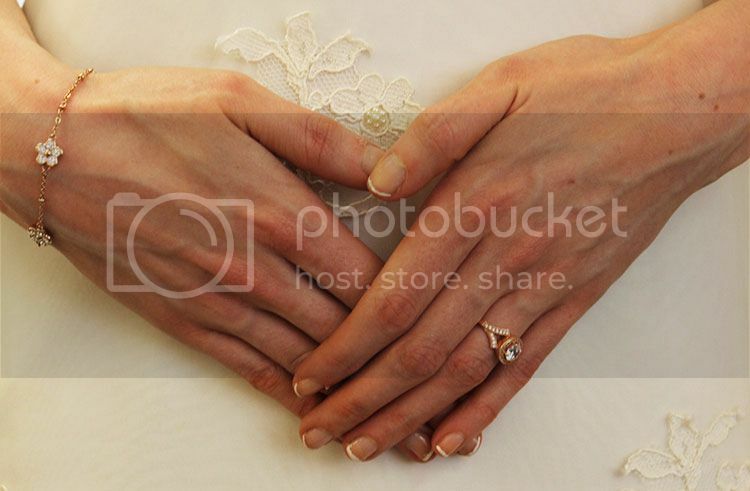 Here is our first 1960’s inspired shoot. Quodos to our very own Rocks lady Louise for doing a great job modelling the sparkling goods. Our setting in Dirty Fabulous was just perfect to get a real feel for the look. It didn’t take us long to get a complete look put together with the help of Caroline from Dirty Fabulous. Louise is wearing a 1960’s Ivory Chiffon and Lace Empire gown with pearl details which can be picked up for a 1960’s price tag of €640. To complete her look we paired the gown up with a bespoke headpiece created by the very talented hands of Caroline in Dirty Fabulous. More about their fabulous pieces later! We got really inspired by the gown and headpiece and decided to adorn Louise with a mixture of rose gold and silver jewellery pieces. Firstly we added pearl and cz earrings to the look to pick up on the intricate pearl details on the dress. Check out the earrings on Rocks Jewellers website if you want to get your hands on these for your own wedding day. At €49 they are perfect for the day but also for everyday wear afterwards too! 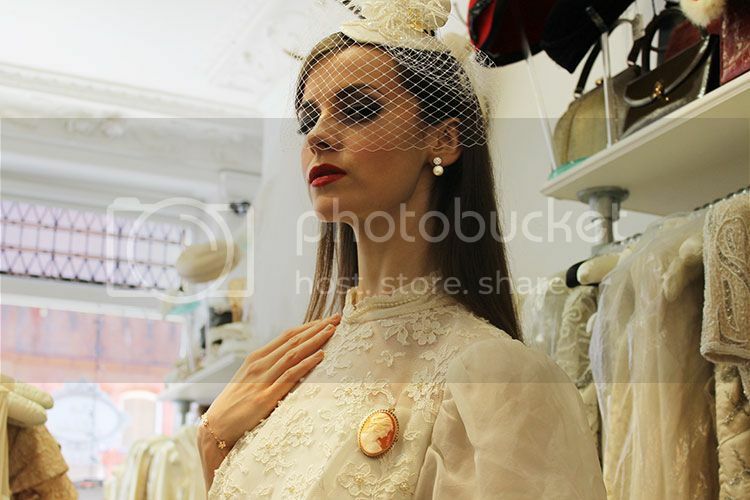 All truely vintage looks have a ‘must have’ item on the list, check out our Rocks Vintage Cameo brooch in 9kt gold, €475. A Cameo brooch never goes out of style and pairing this brooch or indeed any brooch brings a look straight make to era’s gone by. 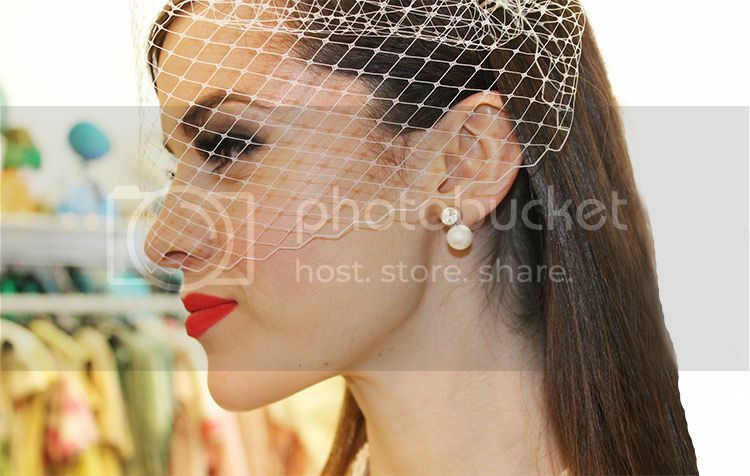 Dirty Fabulous finished off the look perfectly with a hand crafted headpiece and a seperate veil delicately placed to just covers her eyes and draw your attention to the red lips, sparking pearls and intricate neckline of the dress. Check out Dirty Fabulous’ other creations here. 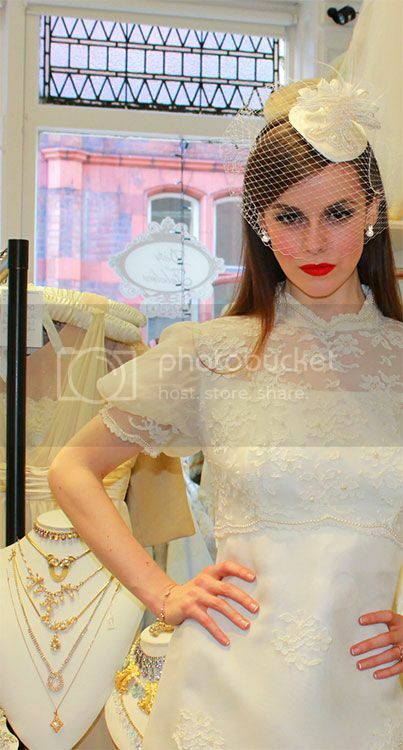 Here is Louise from head to toe in what can only be described as the perfect vintage look. Just look at all those intriguing gowns in the background! Be careful you will enter Dirty Fabulous and forget to come out. The combination of looks are endless and the customer service and advice is second to none. We advise any ‘soon to be brides’ to take some time out and check this place out, you will not be disappointed and are sure to find some little treasure to add to your wedding day. To shop the entire look on our Rocks Jewellers website see here.